In the summertime, well really all year round, I try to utilize the grill as much as I can. The flavor is fantastic, it’s quick, and clean up is a breeze. 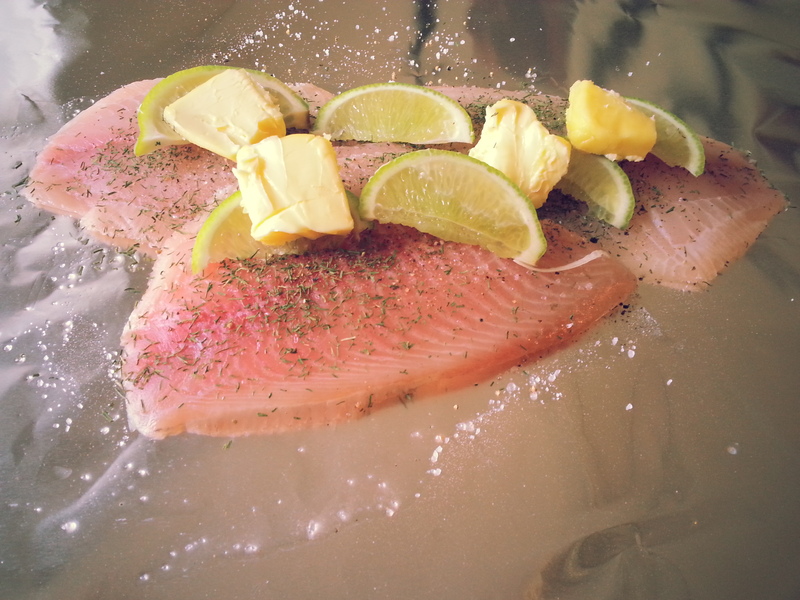 Fish on the grill is one of my favorites. I love to make fish foil packets. 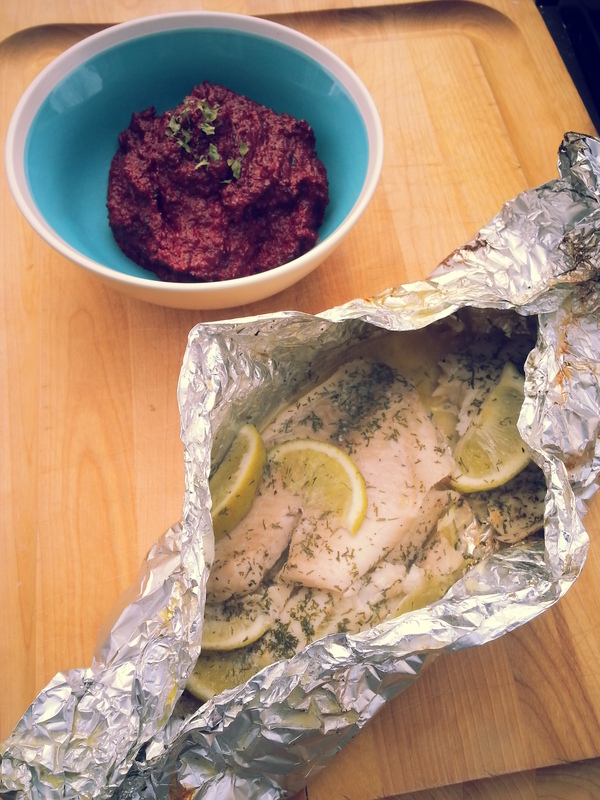 Here is a simple fish recipe that I made last night on the grill (along with the mashed beets). 7. Grill it up on medium heat, flipping a few times. Fish doesn’t take that long to cook. Typically around 10-15 minutes. You know the fish is ready if you peek inside the packet and it has broken up a little bit. 8. Remove from the grill and open carefully. It’s hot in there. This is a really quick and tasty way to make fish. Clean up is a cinch. Roll up the foil and throw away. Done and done. Do you have any favorite fish recipes? I want to know! Comment below.